The Unity Awards reception will be held at 198 McAllister Street at U.C. Hastings Law School, on November 14, 2017 from 6-9pm, in the Louis B. Mayer room on the ground floor. 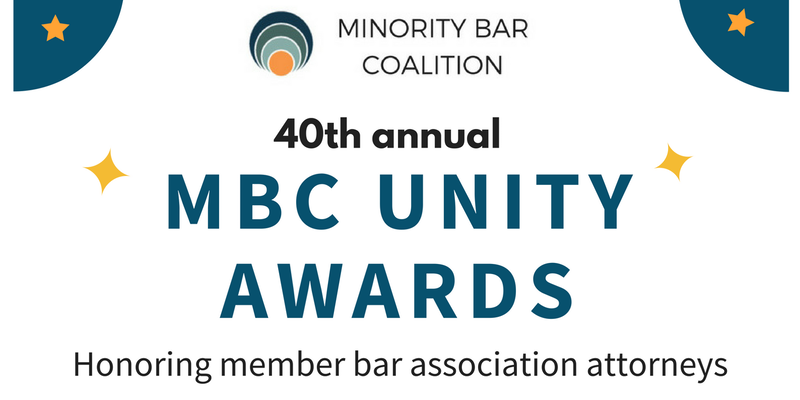 The MBC will be honoring members who have shown dedication to working in a unified manner to advance the cause of diversity in the legal profession. BALIF Board Member Jen Orthwein will be honored by BALIF and the MBC at large.